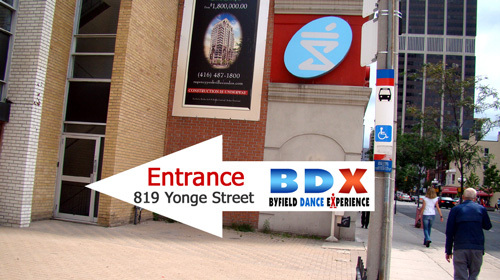 All Toronto hip hop dance classes and tap dance lessons for adults are at Byfield Dance Experience. We are DOWNSTAIRS, side door. 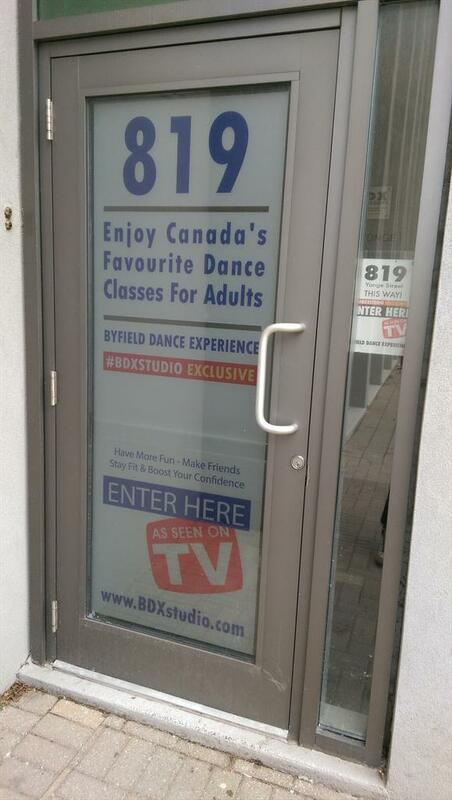 All Toronto adult hip hop dance and tap dance classes run regularly unless there’s a severe weather emergency. Stay in the loop on cancellations or weather on our Twitter or Facebook Page. We’re just north of the Toronto Reference Library, at the SOUTH EAST corner of Yonge and Davenport. GREY BUILDING right beside Shoppers Drug Mart. We’re downstairs. Don’t pass Canadian Tire or you’ve gone too far!